Spring has arrived and all of the insects and flowers are coming back to Japan for another year. 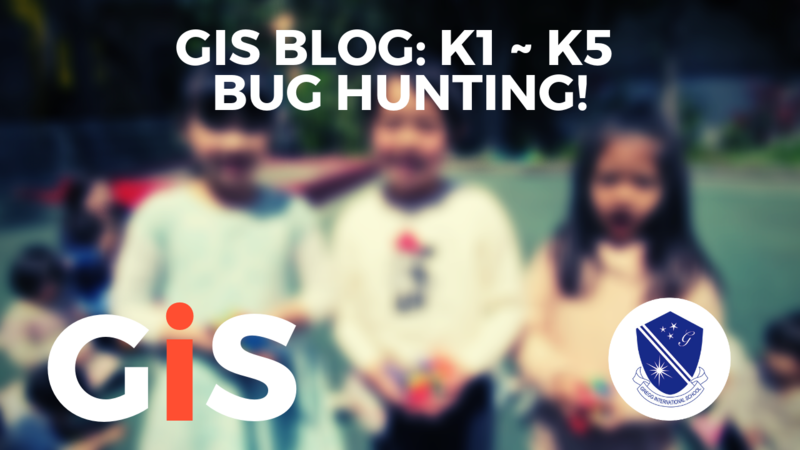 To celebrate spring’s return after a long winter, all of kindergarten, K1-K5, decided to join together for a bug hunting activity. About 100 colorful plastic bugs were hidden all around the playground. All of the students gathered in a big circle and sang a song before our activity began. The students were very excited and couldn’t wait to begin the hunt. When the teacher gave the signal all of the students ran excitedly in many directions to find the bugs. When the students decided that there were no more bugs left to find, we all made a circle and sat down to count our bugs together. Everyone was happy as they had all found at least one bug. The students counted their bugs by themselves and told the teacher how many they had. All of the students had a great time!